Overtime Pay Proposal Triggers A New Debate About Wages Economists are divided about the White House plan to boost overtime pay for workers. Some say the change would spur consumer demand, while others see a coming downward spiral for job creation. Economists are divided about the White House plan to boost overtime pay for workers. On Thursday, President Obama rolled out his plan for strengthening overtime pay protections for millions of workers. In his view, if more workers got fatter paychecks, they could spend more and stimulate the economy. But if his critics are right, then employers would end up laying off workers to make up for the higher wage costs. And that would hurt the already painfully slow recovery. Economists are divided. Some say the proposed changes would give the economy just what it needs: more consumer demand. Others say it would lead to exactly what the economy doesn't need: fewer jobs. Sound familiar? This is very similar to the intense debate over the president's other proposal. He wants to raise the federal minimum wage from $7.25 to $10.10 an hour. That matter is stalled in Congress, but the White House does have the power to rewrite the wording of the overtime rules. As Obama lays out his case for changes, the two sides are squaring off — each accusing the other of not understanding how today's economy really works. Let's consider the arguments one at a time. The president gets the floor first. 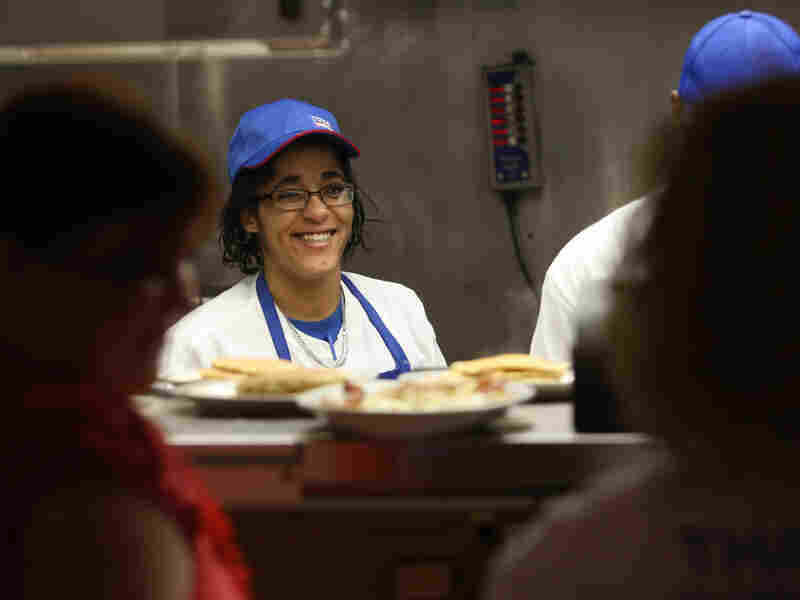 Obama is asking the Labor Department to revise overtime pay rules to cover many more salaried workers, such as shift supervisors at fast-food restaurants and convenience stores. The most commonly used exemption to avoid overtime pay involves designating people as "executive, administrative and professional" employees. Under existing rules, these exempt employees can be denied overtime if they are paid more than $455 a week. As a result, a "supervisor" could earn as little as $24,000 a year, while working well beyond 40 hours. In some cases, such a worker might put in enough hours to end up getting paid — in effect — less than the minimum wage. The administration points out that the $455 level set in 2004 would be worth $553 today, after adjusting for inflation. Supporters say an update of that $455 pay level and a rewrite of the exemption rules could have a fairly large stimulative effect by giving workers more money to spend. A change in overtime rules "could raise the pay of several million workers who may currently be misclassified as managers," Jeff Grabelsky, associate director of The Worker Institute at Cornell University, wrote in a statement. "Growing income inequality is a persistent problem in the United States and contributes to anemic economic growth." Now House Speaker John Boehner, R-Ohio, gets the microphone. On Wednesday, he told reporters that if companies must pay more for supervisors, then they will eliminate other positions. Resulting layoffs would ripple out and slow the economy, he says. "If you don't have a job, you don't qualify for overtime. So what do you get out of it? You get nothing," Boehner said. "The president's policies are making it difficult for employers to expand employment." Jonathan Meer, an economist at Texas A&M University, agreed that the White House proposal would increase labor costs and therefore result in layoffs. "It is likely to slow job growth since, when costs of any kind go up, businesses will adjust" and cut jobs, he said. Meer said it's not yet clear exactly which businesses would be most affected, but fast-food restaurants likely would be among those that might have to pay more. "The owner of that restaurant is likely to be a franchisee with a razor-thin profit margin who can ill afford increases in labor costs," he said. But Richard DeKaser, corporate economist for Wells Fargo, said how one assesses the broad economic impact depends on what he or she believes is happening in the economy during this slow recovery. "If you think the problem is insufficient demand, then increasing pay for workers is helpful," DeKaser said. "I would argue that that is where we are. At this particular time, programs that increase income will stimulate growth."